For BlogHer's 10th anniversary, they are having a Selfiebration, looking back at the last ten years of blogging. The first prompt from Melissa at Stirrup Queens asks, "How long have you been blogging? What do you think the biggest changes have been since then? And how is blogging still the same?" I hit publish on my first blog post in 2005. It was late at night, I had just signed up for a blogspot account, and even though it was only a few sentences with no picture, it took a really long time to publish - probably because I was using dial up internet. I was wandering around yesterday, and found this Self Arrest Form on the East Point, GA's police department's website. It was nice to see that they have a sense of humor. Yes, that was the entire post. I think I was excited that I had learned how to hyperlink words. I clearly had no idea about SEO or what google is looking for in a website. I'm a little surprised I got any search engine traffic at all in those early days, but I actually did. There might have been people doing professional blog design, but I don't think it was nearly as common as it is now. Most of us just used the free templates that came with our blogging platforms, or taught ourselves how to make any changes we wanted. I remember feeling really smart when I figured out how to code my blogroll so it was separated into four different pull-down lists that were color coordinated with my header, after weeks of pouring over every free online html class I could find. 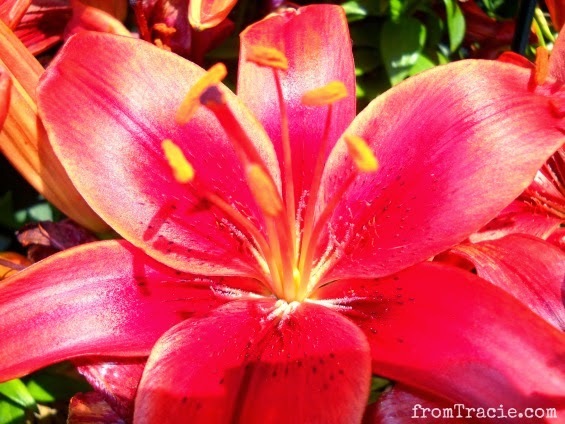 I tried other blogging platforms, but returned to my original blog, eventually giving it a new name - From Tracie. It seemed appropriate. In my early years of blogging, I marked the passage of time with pictures of my family's shoes. Looking back at my early blog posts, the majority of them are about surviving childhood sexual abuse. That was the main focus of my blog in the beginning. I was gathering up the courage to tell all of the very real people in my life about my childhood, and it was a great blessing to be able to first tell all the invisible people on the internet where I was safely hidden behind anonymity. I also slipped in stories about my family and the good things that were happening. Those stories balanced out some of the darkness, and reminded me that there was light in my life. A lot of healing happened on those blog pages. Although the daily focus of my blog has changed a lot since then, I still write about being a survivor and survivor issues. That will always be a big part of my life and my work. We didn't have social media in the early days to help spread the word about our blogs. I had my fancy blogroll set up in my sidebar, and every day I would click through to each blog to see if my friends had updated with new posts. I would also click through the blogrolls on other people's blogs to find new people to read. There were a few link-ups back then. I remember Thursday Thirteen was really popular, and I participated in it a lot. Other than following the trail of blogrolls, and leaving comments, there weren't a lot of ways to drive traffic to a blog. I was active in a few message boards at the time, and I do remember being excited when my analytics told me I had received several hundred visits from placing my blog url in my signature. In 2006 there was a blogger named Michelle who had a game at her blog every weekend where you would leave a comment, and then go visit the person who commented before you to leave a comment on their blog (and say "Michelle sent me" in some creative way in your comment). We would do that all weekend long. It was fun. Michelle was a rather anonymous blogger, so I don't know what happened to her when she disappeared, taking her blog with her, but I still think of her sometimes when I pull up an old post and see some of those comments at the bottom. I do keep in touch with, and read the blogs of, some of the people I discovered at Michelle's place, like Carmi at Written Inc., Naomi at Here In The Hills, and Colleen at Loose Leaf Notes. That was my first blogging community, and I have all the warm, fuzzy feelings towards the people who tirelessly left comments on my blog posts. Besides the people at Michelle's blog and those I met following trails of blogrolls, I was connected with the community of abuse survivors who participated each month in the Blog Carnival Against Child Abuse. I've seen a change in the participants over the last eight years since Marj founded it, and even since 2010 when I took over management, as people have shut down their blogs or changed the focus of their writing. The blogging community was different when I started blogging nine years ago. There were a lot of times when blogging felt like an ongoing conversation between the writers and readers. Not just because of all the talking that was happening in the comment section, but because we were all writing responses to things in our own blog posts as well. I think that was a big facet of the community feel we had back then. There weren't nearly the number of group blogs that we have now, but there was still a lot of collaboration happening in a really organic way. Not to say there isn't collaboration or a community of bloggers in 2014, because there definitely is. I think we come about that community differently now, and it is both harder and easier to make those connections. There are a lot of articles written about blogging - saying it is dead, or that at least the comment section is dead - but I think it is just changing. As all things do. It seems that blogging goes in cycles. Every few years, people fade away, and you find yourself building a new readership and making new friends. There aren't that many of us who have stayed active in the blogosphere for more than three, five, or ten years. I've watched a lot of people move from telling personal stories, to focusing on the mechanics of writing, to earning money through reviews and sponsored posts, and then going back to the beginning and sharing personal stories again. Maybe I notice it, because my own blog has taken a similar journey. There is a push to be on every social media platform, and to have a pinterest-worthy picture in every post, to use those keywords, build that pagerank, get a new, better theme or platform, and connect with the right people. It isn't that those things are necessarily bad, some of them are very good, but sometimes it feels like they are distracting from the heart of what blogging is all about - writing and sharing our words. Although I know that many of those things will enlarge your audience, I think they also enlarge the busyness and commitment of blogging. My blog and my writing have evolved over the years, and I've tried a lot of different things. I participated in writing groups and challenges for a while, even writing short pieces of fiction (which was something I never expected to do, but really enjoyed). I know the critiques and comments I got during that time helped to make me a much better writer. But the heart of what I do here on this blog is still me. All the way back to those early years when I was pouring out stories and feelings I couldn't say out loud, to now when I'm sharing what it is like to be the mother of a tween girl and writing much more confidently about my feelings (even when they are just as hard and mixed up as they were in 2005), I am sharing me. My heart. My truth. I won't always have a picture to pin, or the perfect keywords. Sometimes I will. But I'm okay with the times I don't. The soul of blogging will always be, for me, the words. The best part about blogging for nine years, through all the changes and twists in the blogging world, is being able to look back and see how I have changed. And how I have stayed the same. And maybe a few changes I still need to make. What has changed since you entered into the blogging world? I entered in 2010 and I don't know if it's changed so much or it's me who has! I just became a lot more aware. Melissa from Stirrup Queens is my first cousin - her father and my father were brothers, when my father was still alive. She holds a very special place in my heart so seeing you mention her made me smile. I started blogging in the MySpace days--a COMPLETELY different environment. Blogs were ranked in order of popularity, so it was pretty easy to find things to read, even as the blogging community grew over there. When that site started dying, it was tough to get used to blogging in an environment where it was wide open and finding blogs to read was so much more difficult. I came to the internet in 1998 and made my first monthly comments in a site called "manyvoicespress" and found the first place to release my past and help others with my sharing. By 2000 Msn and Yahoo formed groups to share abuse/emotionally charged issues. I found to many rules about not being able to speak the "correct or actual" words that I formed my own LadyJzTalkZone and my life healed in ways I never thought possible. So many people came through to share their stories and validate my own feelings and the effect my childhood had on me. Some of those groups got lost when Msn switched formats from communities to groups then dropped the platform all together. I wish I had saved more of those post. My journal project with seven women I had on HealthyPlace2 I was smarter after losing the community post, I saved most of them and still have the work. Started compiling them into a book years ago but it never got off the ground so to speak for many reasons. Though I still have them and they are timely messages. The groups on Yahoo changed as more and more people found their voices and I found my issues where not as theirs any more. I spent more time just re-blogging important information then writing my own because I felt their words where more helpful then mine. I still maintain my website with my old story and links to others who I think can be helpful, though I will say that most people can pretty much find anything they need and any niche they need to share in now. When we all started that was in short supply. I watched groups come and go, blogs start and stop, and even now as I restart a part of my life, I wonder if it's worth even sharing. I do still enjoy reading your blog and watching your family and yourself grow. I keep my site only because people still come there. Not to share and I'm not sure if they take much from it other then to move on to the sites I list as resources. I have to December to decide if another year is worth it. The price of holding a full site rises each year. I've held that in order to make and give others a place they could share their stories in without having to buy their own sites. Hugs to you and glad to see you share so much. I started in 2006, but I had been a reader/stalker on a lot of blogs before then. I knew nothing about how to get readers or comments. Looking back I used to spam a lot of sites by commenting "Come visit me!" with a blog link. I didn't even write more than that sometimes! I've only been blogging 3 years but I've noticed so many changes definitely the death of commenting and the rise of Pinterest, which I don't always get 90% of the things I pin I never even look at. I'm always trying to find balance between opportunities that will grow my audience and the ones that will grow my writing. You have a beautiful blog and I enjoyed reading this post. Blogging has changed so much, and I'm sure the change will continue. We are all learning; all works in progress. Kudos to you and your work. Thanks for sharing your perspective for our #Selfiebration. 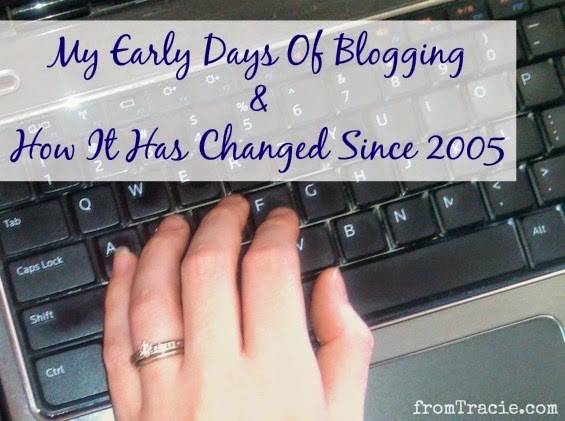 I started blogging in 2003, and it was so so different in so many ways. But somethings never change...and I think two of those things are the value of being able to express one's self in one's own space on the web, and the value of the connections we make and the way we can touch people (even if some of them never de-luk and let us know). I started on a writing site in 2003 and moved to blogspot in 2007. I feel like things have changed so much, in some ways for the better and in some ways for the worse. I love your perspective on how the blog is still you and your bravery in sharing your words back in those early days. wow Tracie- I didn't know you had been blogging that long! I love how you reflected on it all since then. I am 3 1/2 years into it, and also see the transitions and the fading of some bloggers as I go and they stop. There are so many endless opportunities out there, I could never get tired or burned out. And you are so right. In the end, it's about sharing our hearts through our words. That's exactly why I blog! I've been around since 2009 and twitter wasn't in my world, not FB fan page, nor G+, nor Pinterest. My early blogs were more text-oriented and the latter ones more picture-oriented. I've added faith, which wasn't there in the beginning. And now I'm more focused on writing books. But I don't see any end to blogging. I love the quick connection with friends all over. Congratulations on blogging for nine years, that is an achievement! I was really interested to read about how blogging has changed so much. I have been blogging for less than a year, so I haven't noticed any changes! The sense of community and the busy comments of previous years sounds really great! I started in early 2006, and to me the biggest change is social media. I like social media, but you're right -- now there's this pressure to be on active on every platform, to collect more followers/readers. Which really can distract from the blogging, if limits aren't set. As a newbie it's interesting to read how different things were nine years ago. Sounds like a lot was the same. I can only imagine where we are going from here. Wow 9 years of blogging. Such an interesting post to read, I shall have to check out your blog more. You make some interesting points about the things bloggers are pushed to focus on like the 'pinworthy' pictures. It does make you think. I haven't had your experiences but I do think being able to talk about whatever your problems are on in a fairly anonymous way so to speak can be really helpful and be used in a positive way to work through things. Wow! I am impressed at how you have stayed the course and what has changed. I am so new to blogging that not much has changed, but I have. I am learning so much and grateful to others, like you, who share their talents! Have a great weekend! Wow, you have seen loads of changes in blogging. This is such an interesting progression, and it's so awesome that you've been blogging so long! I only entered the blogging world a few months ago, so not much in it has changed since then. A lot has changed for me though. I had no idea what an amazing community this is, how much I would need to learn, or how fun this all could be! I really enjoyed this look back in time, and your perspective. Thanks! 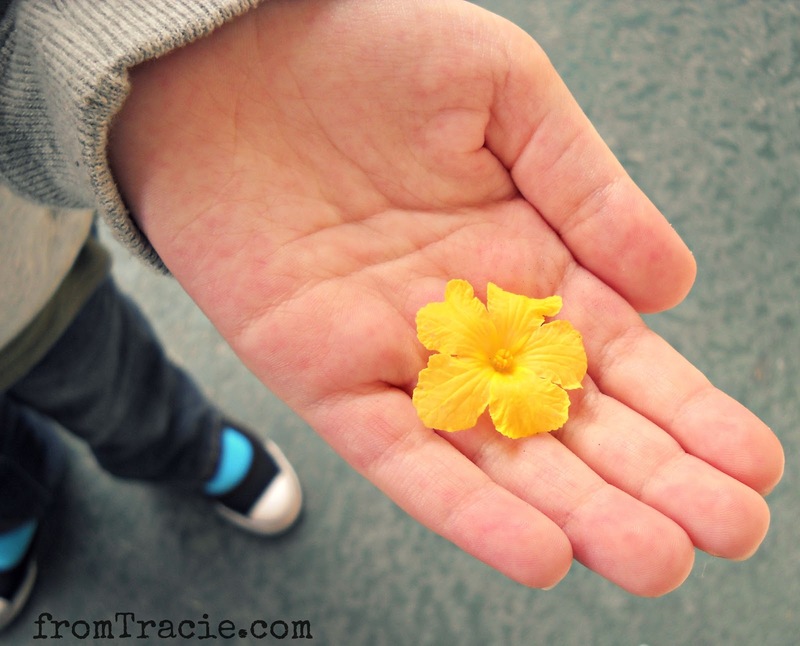 And I quote: "The soul of blogging will always be, for me, the words." AND: "I am sharing me. My heart. My truth."